House is very comfy, very well equipped and in a convenient location about 20 minutes walk into the centre. Around the corner are excellent local shops and cafes. I wouldn't hesitate to book the property again. We found this house very spacious, comfortable and very welcoming. We entertained many of our friends and they all remarked on what a lovely place it was, a real family home. The location was excellent for walking into the center of York and with a grocery store around the corner as well as all the shops snd restaurants on Bishopthorpe Rd we found everything very easily. We will definitely book this house again for our next visit to York. This is the perfect holiday house for our family of five. 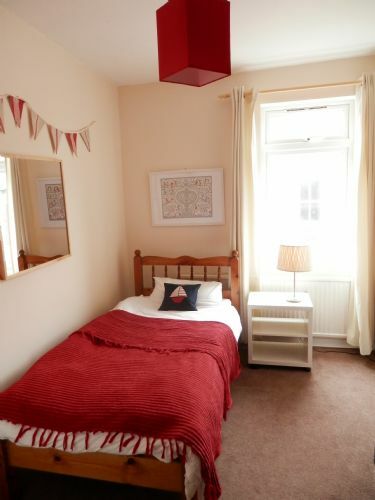 It is easy to get to from the rail station, easy to walk to town, and conveniently located near shops on Bishopthorpe Road. The house is clean, comfortable, and has all of the amenities that we need for a family stay in York. 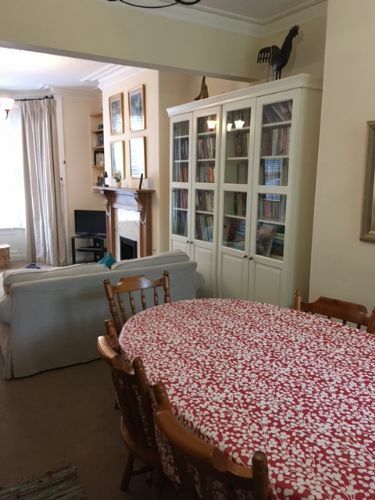 It was like coming home, the furnishing, fully equipped kitchen, interesting books in the shelves, warm and cosy to come back to after walking around York in the winter sunshine! Perfect for autumn and winter holidays. Little or no garden, so maybe not so suitable for the summer when it would be good to be able to sit outside. We really enjoyed our stay in Nunmill Street. The house is very homely and interestingly decorated . The location is great - it was good to have the shops and cafes nearby in Bishy Road. The centre of York is only 10 minutes away. Very central location for a visit to York. All the home comforts, very comfortable, great local shops. Parking an issue if you have two cars, as only one permit! A lovely 3 bedroom terrace house handy to shops, town, transport, etc. We are from New Zealand and 3 Nunmill Street was a perfect base for 2-1/2 weeks for myself and my husband who were visiting our son, his wife and grandchildren who live just round the corner in Bishy Road. Plenty of room for them when they came round. The house itself was spotless and very well appointed, with upstairs toilet too! I gave the comfort a Good only because the bed in the front room was far too hard for me and there were no top sheets provided - the weather was very hot when we were there and we didn't need duvets/doonas. Being older, I had to be careful using the shower over the bath. Not being able to walk far, the proximity of the shops was a godsend. Also hired a mobility scooter from Picadilly for £60/week which fitted in the hall. Light bulbs and ironing beard cover which had died were very promptly replaced. We loved this little 'nest'. It was nice to have our own space for time out from grandchildren yet be able to host our niece and nephew visiting from London. If we needed to hire a house in York again, this would definitely be "it"!!! A fantastic house, spotlessly clean everything you need and more. Location was absolutely brilliant, only used the car once when we went to Skipton, also it was great with the shops all in bishy road. Great chippy and fruit and veg shop, not to mention having Sainsburys at the end of the road. The property is too small for a family of 5. Two double bedrooms and one single. The beds need updating. Very uncomfortable. Similarly the sofas could do with updating. 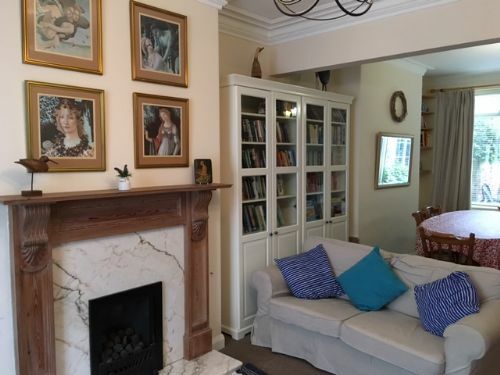 The house is fine for a couple, maybe with one child as a base for exploring York. We found though that after a day out it was not a comfortable property to come back to. It's also a shame it is next to what seems to be a derelict house. Thanks you for your comments ; feedback is always useful and some of yours is valid and useful. We will buy a new bed and mattress for the single bedroom as soon as we can. But the king size bed and the double bed plus their mattresses are fairly new so I have trouble in understanding the difficulty but apologise nonetheless for your lack of comfort. I also confess to surprise about the space issue. We have had a family of three adults and five children who claimed to have had enough space and several of our guests have commented on the spaciousness of the house. Second stay - of many we hope! We had a great second visit to this gem of a holiday let in the wonderful 'Bishy Road' area. This time welcomed by the lovely Ernestina whom although we said we'd been before, was keen to make sure there was nothing else we needed to know. Everything was as clean and comfortable as before with more crockery and cutlery than you'd ever need, and we're already missing being less than 50yds from a Sainsbury's Local! 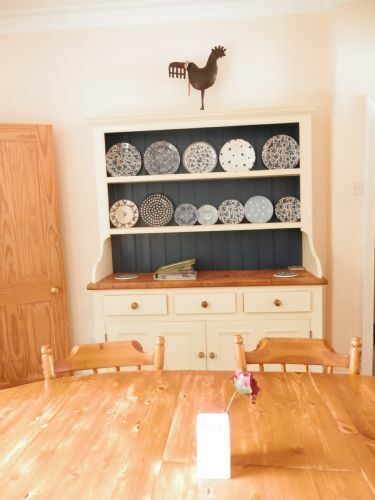 We thoroughly enjoyed our stay here, such a lovely cosy house with lots of space, so well equipped with lots of little extra details that made it even more homely. All communication with Inyork and Kevin (who showed us in) was easy and very efficient. A great place to stay when exploring York! We had a fantastic week over half term, staying in Nunmill Street. The location is excellent, not far to walk into York and the Bishy Road is as good as it says it is. The house was very well equipped and cosy and we would love to go back in the future. The Wi-Fi was superb and kept the boys occupied when we weren't out and about. We thoroughly enjoyed our stay in 3 Nunmill Street. The house was warm, cosy and comfortable. 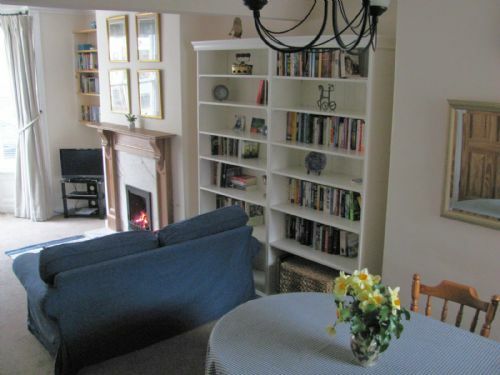 Lots of interesting books to peruse and the layout of kitchen/sitting room made it a very sociable living space. Just like home from home. It was spotlessly clean and extremely well-equipped. We thought the downstairs bathroom could be a bit annoying, but it was actually really clean and warm in there, and with the upstairs toilet and basin anyway, it just didn't seem to be a problem at all. The house is in a great position for visiting all the places in York too, so we would thoroughly recommend it. This was a lovely house to stay in. Very comfy and homely. Local area is great with lots of shops and independent cafes only a 2 min walk away. 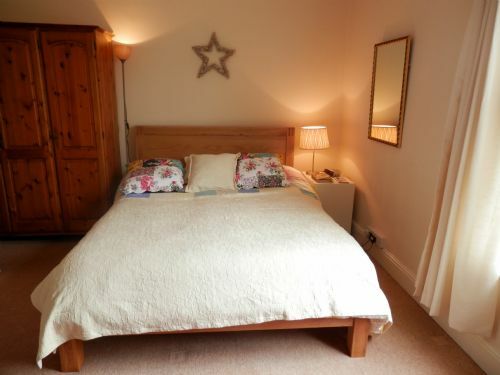 We wanted somewhere to stay in York as a base for going around the city and exploring the local area. We have visited York a few times before and stayed in B&B's but this time we came with our 18 month old son and my mum, so we wanted something with enough space for all of us and somewhere the boy could run around and play in. The house was plenty big enough for the four of us, we had a large double , my mum took the smaller double and the boy was in the single room in the travel cot that was provided. All the bedrooms were comfortable and the heating was good so even though it was a bit colder we were as warm as we wanted to be. The downstairs was quite open, so good for the boy to run around in and comfortable for us to sit and eat / watch TV in the evenings. The kitchen was big enough for the highchair at mealtimes and well appointed with everything we needed to cook with. The bathroom at the end on the ground floor had a bath and shower so what we needed and was all clean and tidy. The car parking is a bit random - there is a permit that can only be used on a few spaces outside the house, but all of the next street along - so I had to park on the next street a couple of times, but most of the time we got a space right outside the front door. The immediate area around the house is very nice with some little shops, cafes, bakery, chip shop, restaurants, pharmacy, fruit and veg and a small Sainsbury on the corner. We got pretty much everything we needed from these local shops and the Sainsbury is open late, so that was handy. It is only a short walk into York, so we only used the car for day trips out to Fountains Abbey and Monk Park Farm near Thirsk - both of which were very nice - and walked into town on the other days. It only took minutes to the outskirts of town so the location was great. My wife and I stayed at 3 Nunmill for five weeks with our six young kids and my mother. We braced for squeezing in like sardines to a 3bdrm, 1 bath house. But to our surprise, we felt very comfortable the entire stay. This is a very roomy, well designed house for a family with kids. And it has a second toilet upstairs (crucial). Even though it has the shape of a galley kitchen, the kitchen is large and roomy, with plenty of space to move around and cook. The upstairs front bedroom is quite large. It easily accommodated a crib, two kids in sleeping bags on the floor, and two kids in the large (king?) bed. The middle bedroom has only one small window opening, so I'd advise buying a fan if you'll be there in summer. The rest of the house stayed remarkably cool even on the few genuinely hot summer days (>80 F, 27 C). Best of all, Bishopthorpe road is like a supermarket on your front step, with all the amenities you could want. Did I mention we didn't have a car? We did all shopping and touring by foot and public transport from 3 Nunmill. InYork Holidays was wonderfully accommodating. They worked with us by phone to determine whether the house would fit our family. Kevin the housekeeper met us on our arrival and went above and beyond the call of duty by recommending local shops and services and even fish and chips in Whitby! When we discovered the high chair was broken, they delivered a new one the next day. We couldn't be happier with our time here. We just hope it's available again when we return for the same window of time two summers from now! This property was our home for 3 months. We loved living here. Amazing location for Bishy road, Rowntree park and for getting into the centre of York on foot. The landlord kindly allowed us the change furniture configuration which made our stay even more comfortable. A fabulous home. Thank you. Brilliant location for the centre of York but the local cafes and shops are worth a visit too. The house itself was very clean and comfortable, had everything you would need for a long or short stay. We'd definitely use it again. 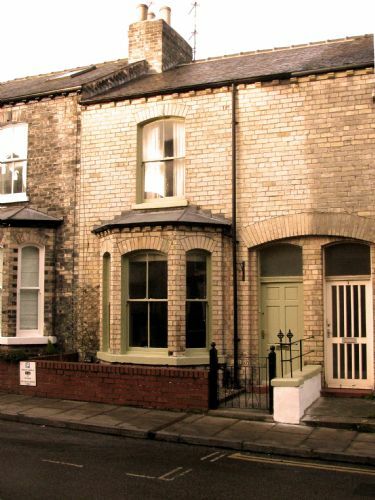 Good location for 'Bishy Road', an easy 5-10 minute walk to centre of York attractions. This is ideal house for value and size, plenty room in living room / dining area and bedrooms. Kitchen good size, bathroom downstairs end of house while upstairs a wee tiny toilet between rooms. House is an old terraced property and has old features which are quirky but annoying to some maybe. House needs a few renovations/ upgrading and a very good clean in some areas. But .....it is an older property. Toilet smelt a little damp. Wi-fi cut off a lot as maybe only a certain download allowed, which was annoying when watching I-player in bed( only to in living room) especially last 5 mins of program. Overall I enjoyed house and was good for younger kids. Small play park near school just up road. Plenty shops/ take always/ restaurants. Nearby. Brilliant to have fresh veg fruit shop on doorstep and butcher. 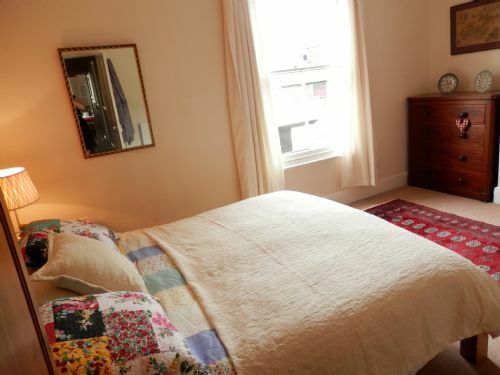 Over all this is very well priced for size and rooms have comfort feel to them with some lovely decorations but this is not a modern property. Small area at back to sit outside which got sun. Parking permit for street. Nice, cosy place with space for family/group close to the center. The accomodation was clean and the kitchen well equipped with everthing we needed. Communication with the landlord was easy and quick. Thoroughly enjoyed my stay at this property. It was furnished beautifully and extremely clean. Parking available on the street in front of the house. Highly recommend anyone looking for a place to stay in York to choose this place. The location was brilliant, having lived in york I couldn't have picked a perfect location.the house was very homely however found the heating system hard to follow, plus the extractor fan the kitchen was Broken and the bins in the bathroom hadn't been emptied from the previous occupants, which wasn't pleasant to find. The company who greeted me were very pleasent and helpful ans because of that and location I would return to this house again. 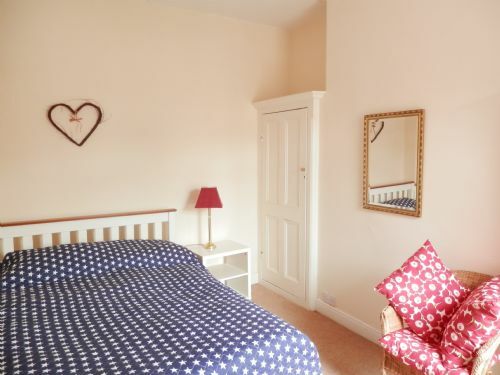 We had a really great stay in this house, which is only 5 minutes from the York old city walls, 15 minutes walk from the station and 2 minutes away from the funky cafes of Bishy Road. 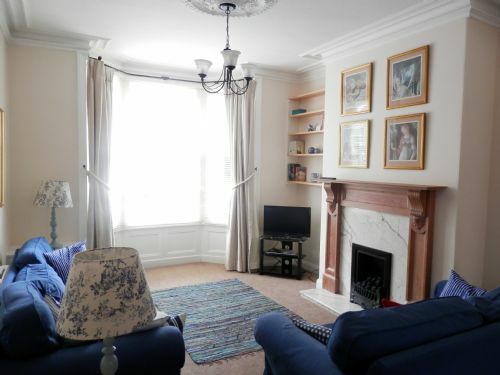 Good sized rooms and a characterful property. Had a wonderfull mini break in York staying at 3 Nunmill Street , the location was excellent with shops,cafes and restaurants just around the corner and only a ten minute walk into the city passing the ancient city walls on the way.The house it'self was home from home, with all the comforts and no complaints whatsoever and with the provided parking permit we could park right outside the house.The next time we have a holiday in York, we would choose to stay here without any hesitation . We enjoyed our stay in York. The house is in a great location and is very comfortable. It is close to local shops/restaurants. Definitely would stay there again. We had stayed in the 'Bishy Road' area 5 times already since 2005 and have always loved it. The array of shops, pubs and takeaways make it the perfect base just outside of York city centre.